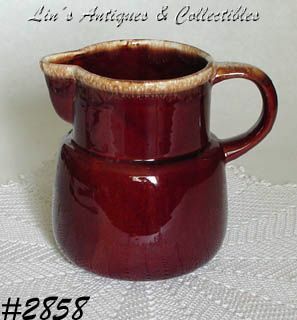 This listing has another pretty McCoy brown drip item – a serving pitcher! It measures 6” tall and is marked on bottom: McCoy, Lancaster Colony (mark), USA. Pitcher is in excellent condition!